This is a guest post by Ning Liu from Stanford University. 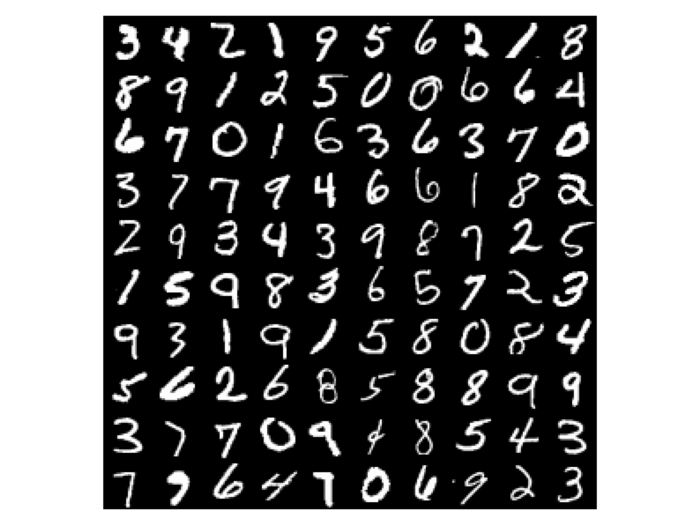 Temporal resolution provides information on the distance of time between the acquisitions of two images (data) of the same area. It is the reciprocal of sampling rate (or acquisition rate) of an fNIRS device. For some devices, sampling rate is a fixed number; for some other ones, sampling rate may depend on number of sources or detectors to use. Why is that? It is because they have different instrumental design. For those with unfixed sampling rate, multiple sources time-share an optical detector by means of a multiplexing circuit that turns the sources on and off in sequence, so that only one source within the detector range is on at any given time. The NIRx system, for instance, are using this type of design. For those with fixed sampling rate, they usually use low frequency modulated light source to provide the excitation light, thus one detector can ‘see’ only one source. For instance, Hitachi ETG4000 system has sampling rate of 10Hz (from http://www.hitachi.com/businesses/healthcare/products-support/opt/etg4000/contents2.html), thus its temporal resolution is 100ms. Some other device, such as NIRScout, has sampling rate from 2.5 – 62.5 Hz (from https://nirx.net/nirscout/), thus its temporal resolution is 16 - 400ms. Why the sampling rate is changing from 2.5 – 62.5 Hz? That’s because users can choose different number of sources and detectors in their configuration. The more number of sources and detectors to use, the smaller the sampling rate. The following table is from a review article (Scholkmann, et al., 2014) on NeuroImaging volume 85 (2104), a special issue of functional near-infrared spectroscopy. It summarizes the specifications of some popular commercially available fNIRS devices, mainly focused on continuous wave devices. I compared the speed of Nvidia’s 1080 Ti on a desktop (Intel i5-3470 CPU, 3.2G Hz, 32G memory) and NVIDIA Quadro M1200 w/4GB GDDR5, 640 CUDA cores on a laptop (CPU: Intel Core i7-7920HQ (Quad Core 3.10GHz, 4.10GHz Turbo, 8MB 45W, Memory: 64G). I booked a direct flight (non-stop) from San Francisco to Beijing for my father last October. The cost is ~$300. It’s fairly cheap. The tool I used was https://matrix.itasoftware.com/. If your departure date can be flexible, this website will give you the price on a range of days. Then I would pick up the cheapest date, and view details such as airline names/time. 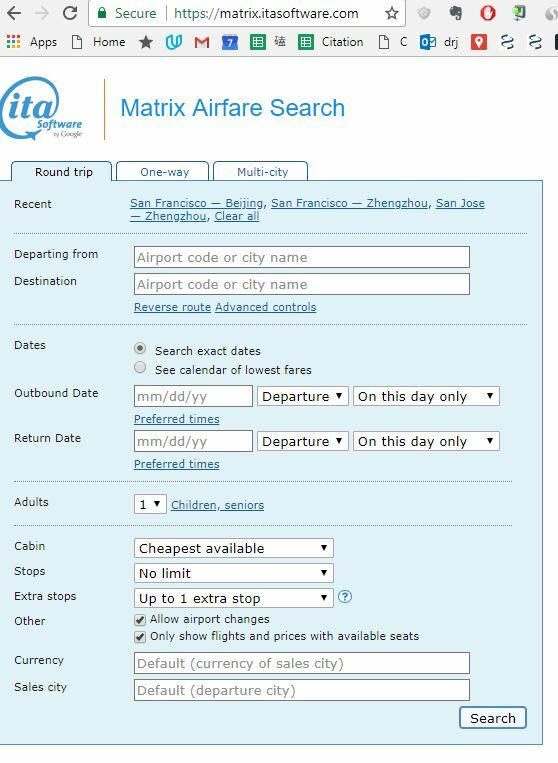 You can’t book tickets on this website directly; but with the names of airlines you can go to the website of airlines and book there. When I was in high school and saw the following equation, my mind was blown! Why is Pi here? Isn’t it supposed to show up only in circle related problem? But the left-hand has nothing to do with circle. And it’s Pi squared! 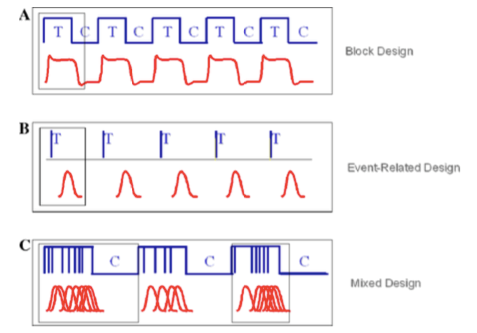 Event-related design (Fig.1B) allows the order of conditions present randomly and the time intervals between stimuli vary. This design is more naturalistic and allows for detecting transient variations in hemodynamic responses (HRF). However, event-related design usually needs more number of stimuli in order to enhance the statistical power, and the experiments are often longer than blocked designs. Mixed design (Fig. 1C) combines block and event-related designs. It alternates two conditions (task and control) as in a block design. Within a block, the interstimulus interval (ISI) varies as in an event-related design. It allows for extracting brain regions either exhibiting transient neural activity (item-related information processing) or sustained neural activity (task-related information processing). However, it involves more assumptions than other designs, and the estimation of the HRF is poorer than event-related design. Amaro E Jr, Barker GJ, “Study design in fMRI: basic principle”, Brain and Cognition, 2006, 60(3):220-32. Liu N, Cui X, Bryant DM., Glover GH, Reiss AL, “Inferring deep-brain activity from cortical activity using functional near-infrared spectroscopy”, Biomedical Optics Express, 2015, 6(3): 1074-89. doi: 10.1364/BOE.6.001074. For someone who has no imaging background and just began to use fNIRS, s/he might be surprised to find out that the imaging study design is so different with study designs in other fields. For instance, task-based imaging studies usually involve bunch of repeated stimuli. This is quite different with what we usually do in a naturalistic environment in our daily life. Why not use just one stimulus? This is due to the difficulty in detecting signal changes against a much stronger background physiological noise. Thus, in order to measure brain actives, one needs to carefully design the experiment and use some clever method to analysis the data. For task-based study, there are two types of basic design. One is called block-design and the other event-design. It worth noticing that they have something in common — the same stimulus needs to be repeated many times, and the detected signal changes are statistically tested for significance. Another aspect that beginners usually ignore is the design of control condition. A typical task design usually contains epochs or events of interest along with control epochs or events, such that a cognitive subtraction (for instance) can be performed and resulting in robust and reproducible results.